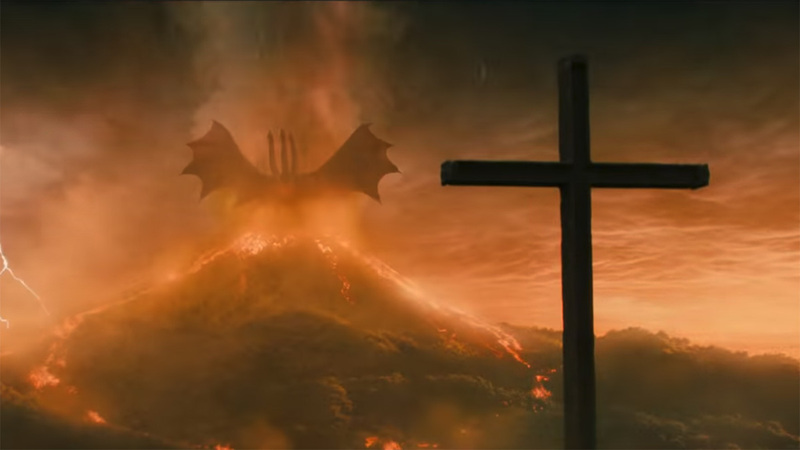 “Rodan, Ghidorah, Mothra…oh my.” “Set Godzilla free!” “This is Godzilla’s world, we just live in it.” Just when I think I can’t get any giddier about Godzilla: King of the Monsters, they have to go and release this short trailer full of campy one-liners and crap tons of new creature footage. All set to the darkest version of “Somewhere Over the Rainbow” you’ve ever heard. 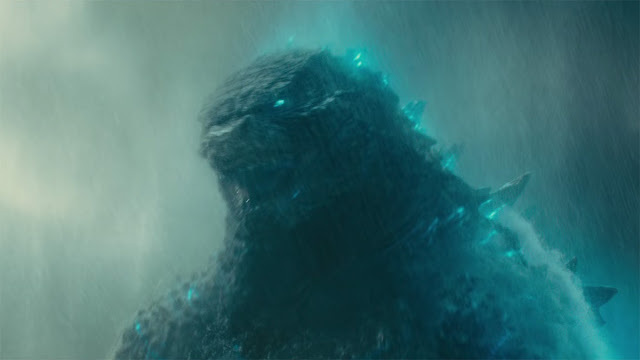 It’s been said many times, by me and from the lips of others, but one of the biggest problems with 2014’s Godzilla is a woeful lack of the titular monster. And though we haven’t seen King of the Monsters yet, all of the promotional material, including this latest glimpse, looks like a major course correction on that front. And it is good. And this time it’s not just the King of the Monsters, he brought some of his classic buddies out to play, and hot damn am I excited about that. All your favorites are present and accounted for, sans Mechagodzilla, but we’ll let that slide for now. And this is all building to an ultimate on-screen clash between Godzilla and the King Kong of Skull Island, which sounds like a hoot. Working from a script he cowrote with Zach Shields (Krampus), director Michael Dougherty (Trick ‘r Treat) assembled a great cast. The credits include Millie Bobby Brown, Vera Farmiga, Charles Dance, Bradley Whitford, Sally Hawkins, Kyle Chandler, David Strathairn, Zhang Ziyi, Aisha Hinds, Ken Watanabe, O’Shea Jackson Jr., and more. Hope they don’t squander the human side like they did last time. Then again, I hope they don’t focus too much on the people, again like last time, and forget to party with the monsters. Godzilla: King of the Monsters (or Godzilla and Friends as I’ve been thinking about it) stomps into multiplexes everywhere May 31. Are you ready?